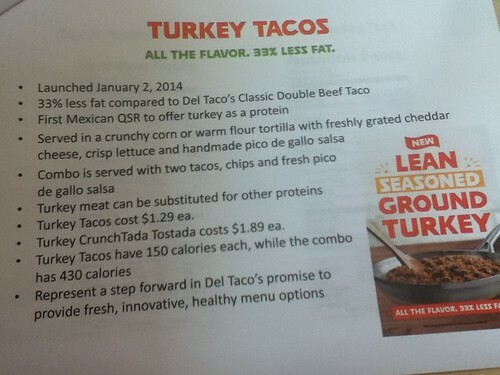 I heard back in November that Del Taco was testing turkey tacos and advertising them as having 33% less fat than their regular ground beef tacos. 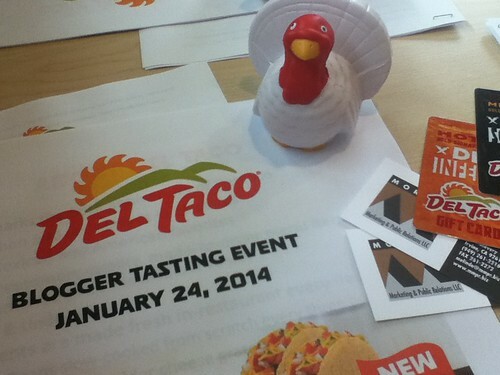 I thought this might be a Thanksgiving promotion but I could never find any Del Taco stores in Orange County that were selling them. 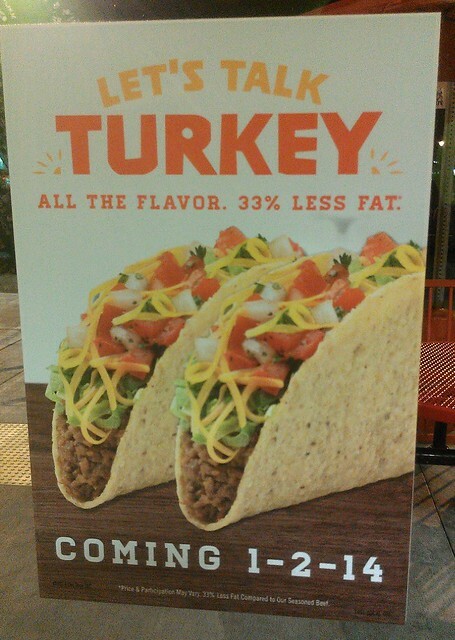 Then I found out near the end of December that the turkey tacos would be in all the stores beginning on January 2nd, 2014. 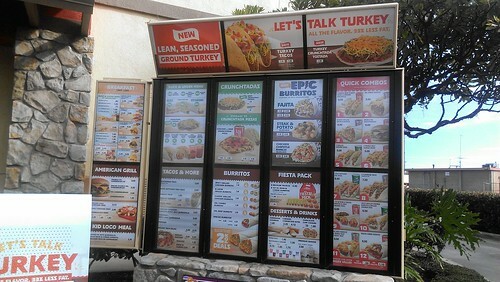 I think the idea was to help people stick to their New Years' resolutions to eat better. 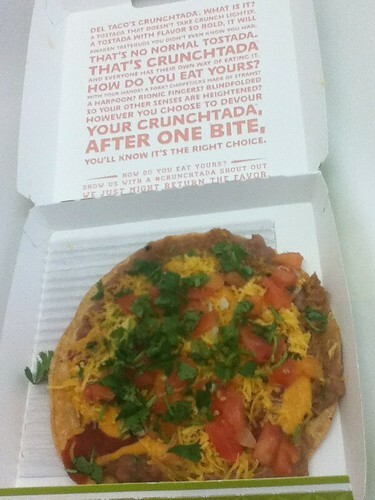 I tried the turkey taco the day it came out and then got one again a week or so later but without the pico de gallo and just put some of their Del Scorcho on it. 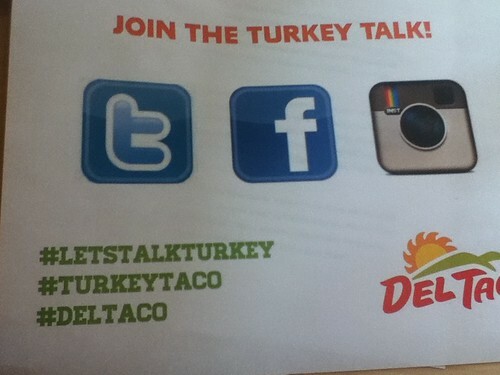 They are advertising their crisp tacos, soft tacos, and crunchtadas as the items you can get with turkey meat but they just tweeted today that you can get any item that regularly comes with ground beef with turkey meat instead (just got back from getting a Del Beef Burrito with turkey meat). Having had several items with the turkey meat I can tell you it tastes close enough to the ground beef so that you don't need to think there's anything "weird" about it. And, hey, less fat. That's a good thing. Will this new protein offering catch on? From the press event I went to last week it sounds like it is and is selling pretty well. Let's see if it becomes a permanent menu option. Or maybe it'll be something they cycle back in from time to time like with their shrimp and carnitas.